Season the sweet potatoes and wrap in foil. Roast at 350°F for about an hour until very tender. Remove from the oven and allow to cool. Dice the onion. Melt the butter in a frying pan. 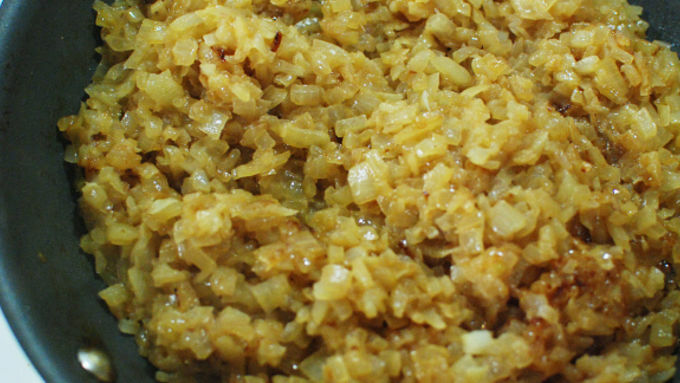 Season the onions and cook at a medium to medium low heat, stirring often, for almost a whole hour to brown very well. 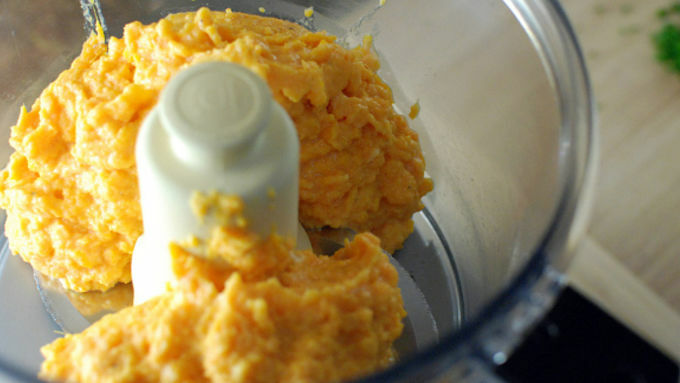 Peel the cooled potatoes and add them to a food processor. Add the yogurt. Process until smooth. 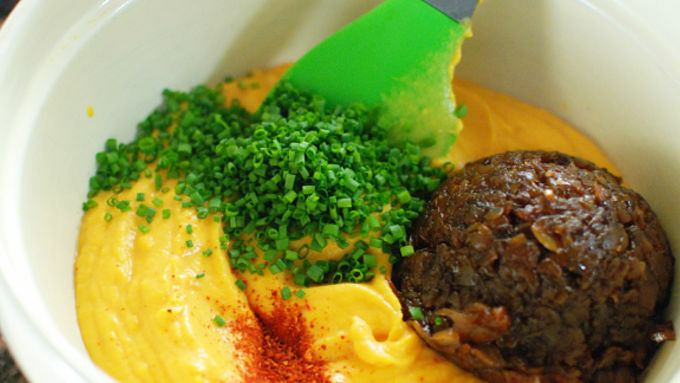 Transfer the smooth mixture to a large bowl and stir in the onion, chives, paprika, and salt. Grate the garlic clove with a microplane grater and stir that in as well. Taste and add more salt if needed. Cover and let sit in the fridge overnight to fully develop the flavors. 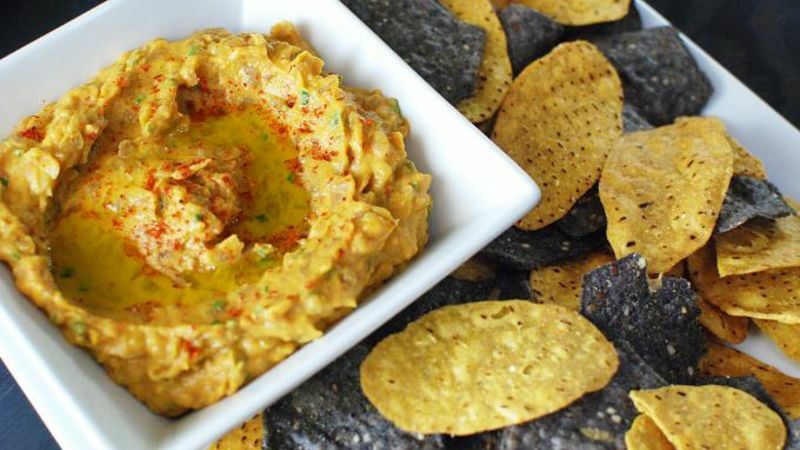 Sweet potatoes combine with caramelized onions and spices in this amazing dip that makes for a perfect party pleaser. 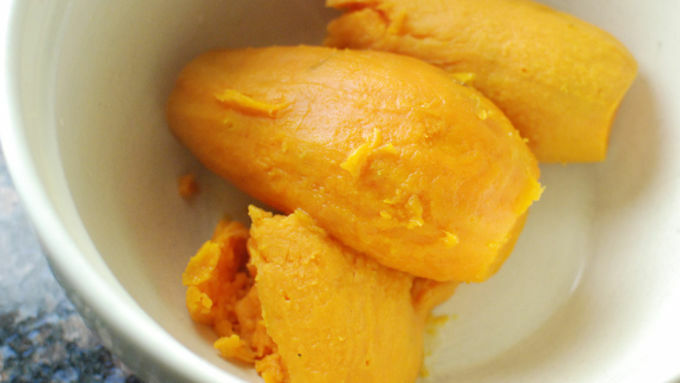 If you like onion dip, you've gotta try this version with sweet potatoes and yogurt. Wow. I love a nice homemade onion dip but they tend to be on the fatty side, so I thought it would be interesting to try and make a healthier version. My first thought was to replace the sour cream/mayo combination with just sweet potato, but without a creamy element it was too far from the original to really satisfy the craving. It was also a little lumpy. So I added a scoop of yogurt and it really gave the dip the flavor and body you look for in an onion dip! This dip has beautiful complex flavors in a creamy sweet package!